Microsoft is seeking U.S.-based Xbox 360 owners to test out the next Xbox 360 system update, paving the way for an "updated Xbox 360 disc format", whatever the hell that means. There's a new Xbox 360 system update in the works, and as always, Microsoft is looking for stateside Xbox owners in the thousands to put the new update through its paces. Fans interested in participating need only head over to the Microsoft Connect site, sign in with their Windows Live ID, and fill out a short survey in order to be eligible. It bears mentioning that while Xbox Live Silver subscribers can sign up, Gold subscribers will be given preference over the unwashed, unpaying masses. What do gamers get in return? Participating players will receive a copy of Halo: Reach for their troubles, along with other possible rewards that have yet to be named. Plus they'll get to test out this updated Xbox 360 disc format. What is it? Microsoft's Major Nelson doesn't mention specifics in his post. I'm speculating that it's either a new way to compress data on the disc, allowing for greater storage, or perhaps it's a new way of encoding said data to keep Microsoft from having problems similar to those Sony encountered, when a hacker discovered and published the PlayStation 3 root key, a bit of code that tells the console that software is legitimate and not a pirated copy. We've reached out to Microsoft for more information on this updated disc format, and will update this post when we have more information. In the meantime, spaces are limited, so you'd best go sign up for the preview, before it's too late. Update: The good Major himself tells Kotaku "Unfortunately beyond what was included in the post I don't have any additional details to share at this time." The only information he would share? It's not Blu-ray, which would have been silly to guess anyway. Another Microsoft representative added, "Microsoft is continually striving to improve our products and could not do so without the help of our Xbox community. 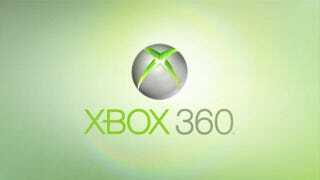 This particular public beta is to help us prepare for an updated Xbox 360 disc format."